This time last week, Nintendo and data-game developer Niantic co-released a new location and treasure hunt game, Pokémon GO, as part of Nintendo’s Pokémon franchise. Niantic began as an in-house Google startup, and has made its name with products in the augmented reality category. The companies have been separate for nine months. Meanwhile, in Baton Rouge, LA, where police shot and killed Alton Sterling last week, 138 miles away from where Essence Bowman died in police custody at the end of June, “heavily armed riot police” invaded Lisa Batiste-Swilley’s yard to collect and arrest anti-brutality protesters. Finally, in Missouri, where police shot and killed Michael Brown in August 2014, officers worried that people who play Pokémon GO in unfamiliar locations could fall vulnerable to crime and injury. One of the most common lines in articles about this game are that it’s great for “exploring.” Exploring what? Crowds are—as I type—milling around Central Park and getting summer-fresh air, phones in hand and eyes on screen. They’re exploring something, but whether that something is Central Park is not obvious. Mashable reports that the pool at the 9/11 memorial in New York is a registered Pokéstop, a location where players can collect game characters. A few states away in Massachusetts, Boon Sheridan’s family home has become unusually interesting to pedestrians and drivers alike: it was once a church, it’s on the Pokémon GO location list, and gamers keep hovering. Players seeking out virtual Pokéstops and gyms, where characters battle other characters, have to go to the game-indicated locations in the physical world. And in order to get their points, they get to traipse up and through these places to “collect” what’s there regardless of the local context. Regardless of the people already present, regardless of whether that place is a site that the community holds sacred, home, yard, or national memorial—there are points to be gathered. 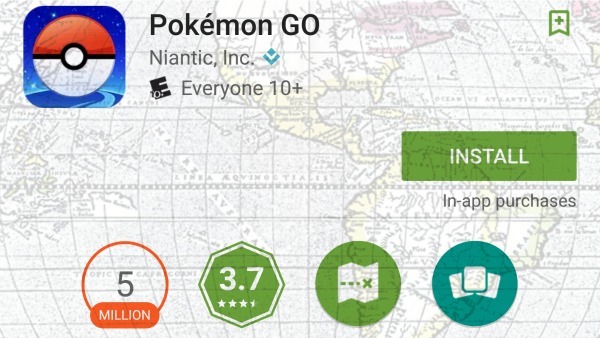 Early this morning, Twitter user @pyratejack explained that Pokémon GO‘s underlying location data is user-generated data from Niantic’s older location game, Ingress. And Ingress included World War II concentration camps in its location data until Germans protested two years ago. What makes big data “Big Data” is its sheer scale. And what makes user-contributed data challenging is the labor required to review, clean, and validate it. Like the government, data companies like Google have exobytes of data about ordinary people and our lived world. Much of that data is from the open source web, and the rest is, like Pokémon GO‘s source data, user-contributed. This isn’t 2013 or 2014, and our headlines aren’t full of “metadata” or “surveillance” anymore, but the data is still accumulating from our phone companies, street and highway cameras, social media profiles and app use. More and more devices are location-aware, or talk to devices that are location-aware. This lets you recreate people’s movements decades after the fact, something we’ve never been able to do before. Some data companies are actively investing in data science and development; others are cutting expenses by passing onto the public the labor of contributing to their databases. Some companies are also cutting expenses on development and analysis by only minimally assessing the quality of data that users submit. But when the convention of these companies is share and share alike, one company’s app and underlying databases lead to the next. Ingress becomes Pokémon GO. Had there been apps like Ingress in the days of Vespucci, Cortés, Columbus, Smith, and Raleigh, they would have been based on user-generated maps, and these maps, like the maps these naval explorers actually used, would have aggregated objects of desire all over the Western Hemisphere. Regardless of context, regardless of the people already in situ, regardless of whether the objects’ locations were community sacred sites, regardless of local meanings, Vespucci, Cortés, Columbus, Smith, and Raleigh operated on the principle that their virtual data adventures trumped local data and life. Wherever their maps showed the fountain of youth or the city of gold, even if those locations overlaid entire nations and peoples, they claimed the right to go, explore, discover, and capture, and people’s lives became their gamespace. As Pokémon GO overlays objects of desire on places with local significance, players play the game by using its maps to trump local experience. It’s post-16th Century colony, but not at all postcolonial. We’re demonstrating that when we get the chance to enroll in well-worn habits of relation and place, we take them. So this logic is likely to keep surfacing: in the just-a-game of Pokémon GO, in urban renewal and gentrification programs, in civic technology, and in the products of businesses like Niantic. In the same way that corporations and governments find ways to use the data we conventionally produce, both corporations and governments will find ways to leverage our wish to augment reality and play with location. In this climate though, Baton Rouge must be a warning to us: whether we’re escaping our troubles or deadly serious about protests, the government has the power to make even our house-guests its objects of desire. Armed with riot gear and legal force, it can and will “collect” from us whatever it wants whenever it wants it. And we are teaching it how.